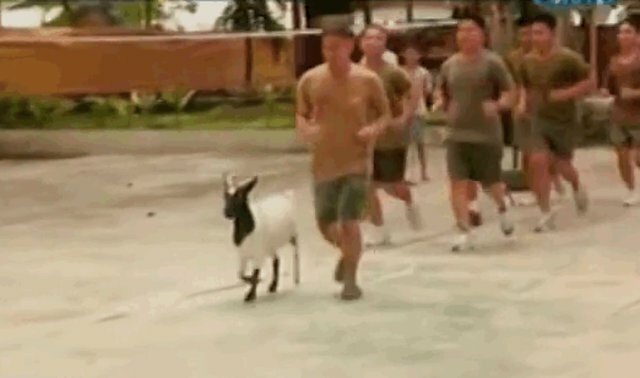 Agua, a goat who was found lying abandoned in a ditch, endeared himself to infantrymen in the Filipino military, specifically by acting less like a goat and more like a dog. 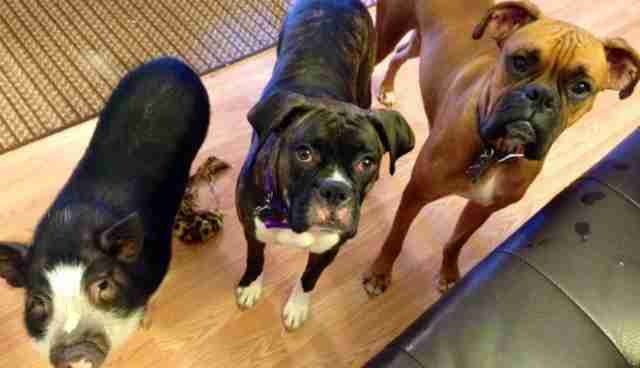 According to the news show 24-Oras, Agua enjoys running alongside his squad unit and hanging out with "other dogs." Cranberry the turkey was discovered wandering around a parking lot in the UK and, instead of being brought home and cooked for dinner, was adopted by her rescuers, Jerry and Dawn Watkins. 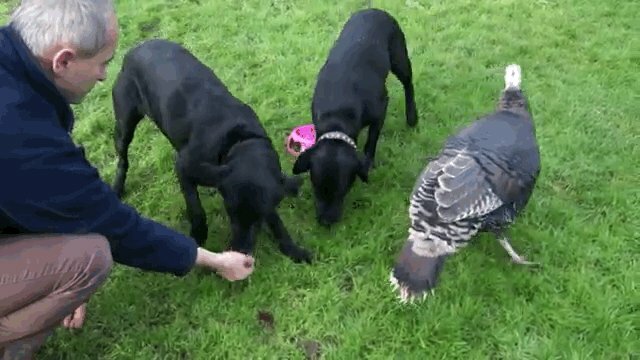 The turkey immediately took to the pair's Labrador retrievers and began to mimic their behavior. Now, she lives just like a dog -- apparently, she even barks. Stinkers is a porcupine, but that's probably not what he would say if he could talk. 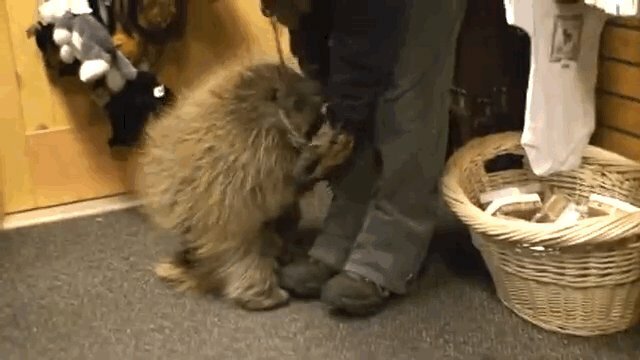 The little brown rescue, who was taken in by the Alaska Wildlife Conservation Center several years ago, ran around like a puppy when he first arrived at the center, snuggling and jumping just like a dog. 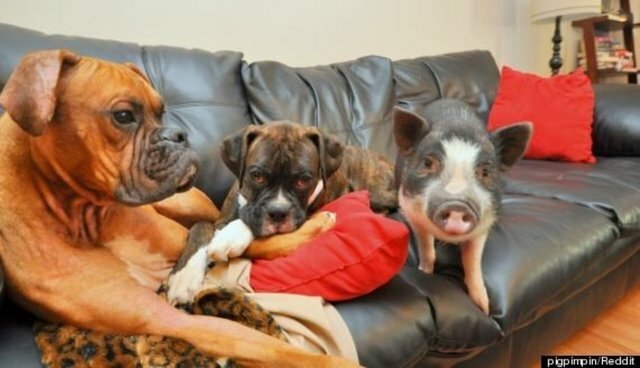 We've seen pigs and dogs live in harmony before, but Virginia the Juliana takes it to a whole new level: the porky house pet grew up with two boxers and according to her owners, clearly thinks she's one of them. 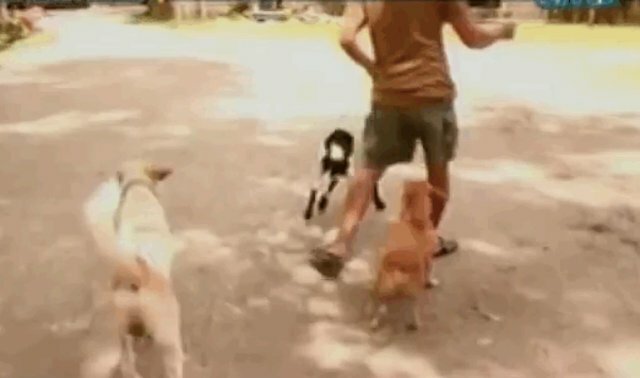 "I think the dogs realize that Virginia is not a dog," her owner explained on Reddit. 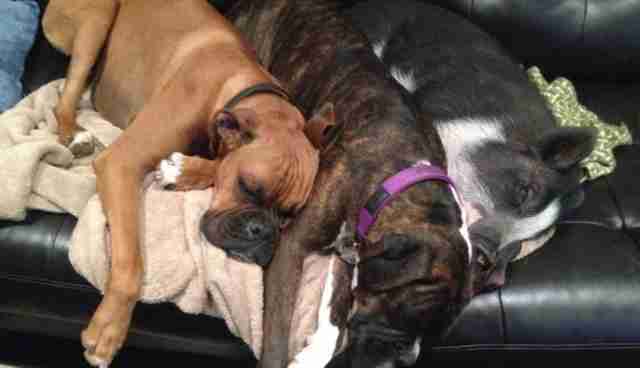 "[But] I don't think Virginia realizes that she isn't a dog." 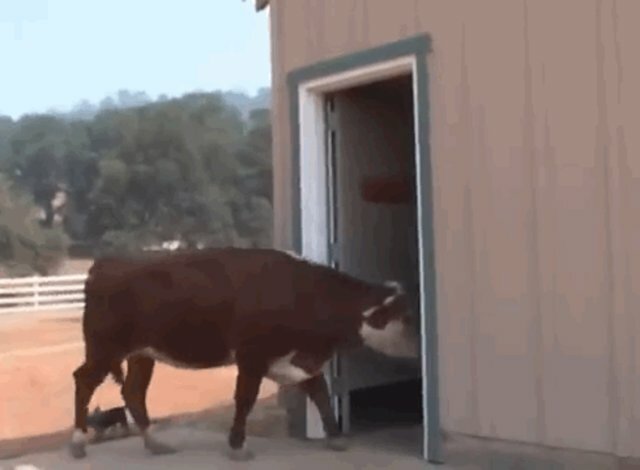 You might remember Milkshake, the rescue cow who recently made headlines for her, well, confusion about her identity. The bovine has spent more time with dogs than she has with cows, and as a result her species allegiance has shifted. 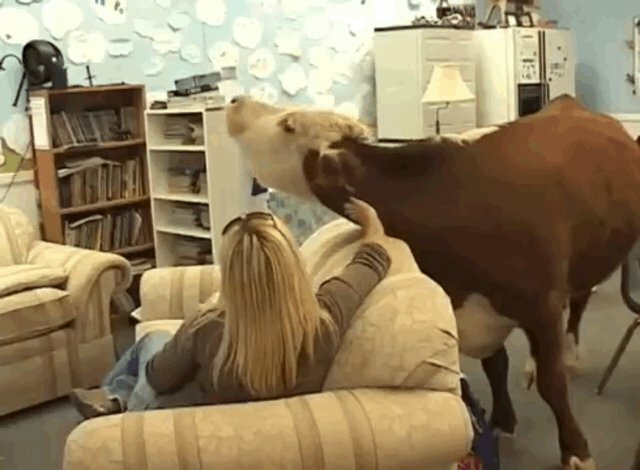 "She hung out with the dogs, so I think that's what she assumed -- that's what she is, more than a cow," Milkshake's caretaker, Beth DeCaprio told CBS Sacramento. "She really doesn't know."